Select multiple pictures in file upload using mobile device? Hi is there a way to use the mobile to fill a form with option to take picture using the phone camera and i am talking about multiple picture not just one image. Unfortunately, if you are using the camera to take a picture, you can only select one file at a time, BUT you can repeat the process and add multiple files in one file upload field. 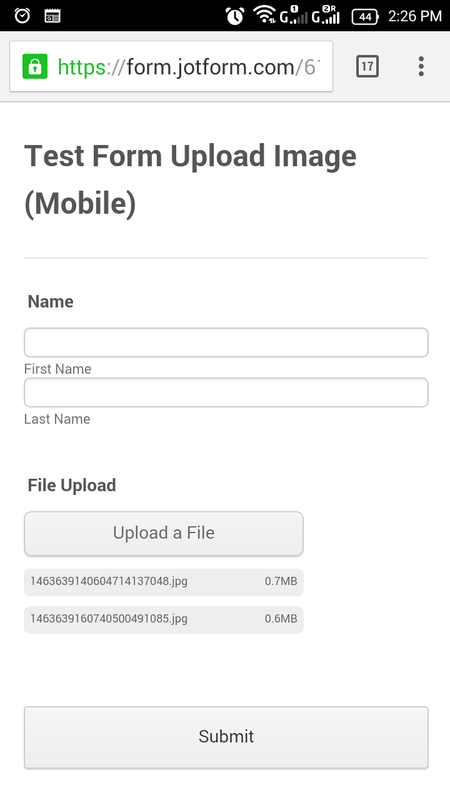 Below is a screenshot of my form in mobile device. You can see that I have successfully selected two images on one file upload field. However, I took them using my camera separately. 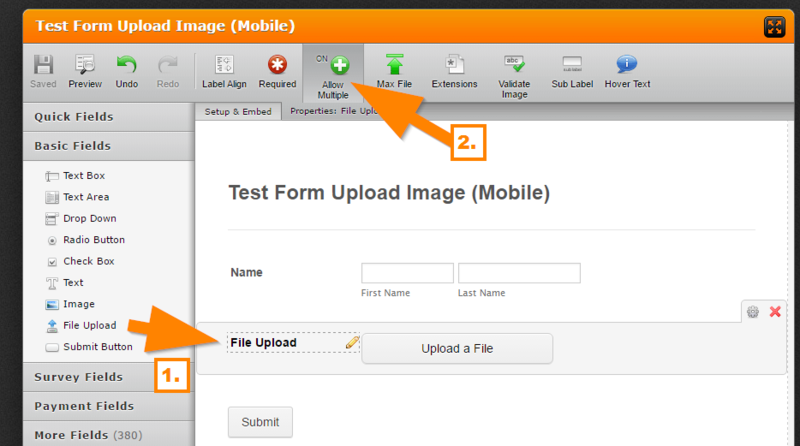 To enable this, you need to turn the "Allow Multiple" option in your file upload field "On". For the question regarding the device's IP address, I have opened a separate thread for it. Please refer to this link instead: https://www.jotform.com/answers/842320. We will address it shortly.